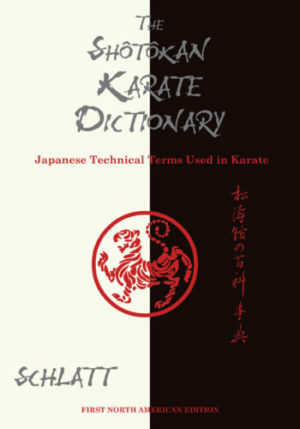 Illustrated throughout with color photographs of karate stances and techniques — plus clear English definitions of karate terms — The Shôtôkan Karate Dictionary is a unique reference guide indispensable for every martial arts library. The Shôtôkan Karate Dictionary is a complete compendium of essential terms of the practice of karate-dô, with special focus on the Shôtôkan style. 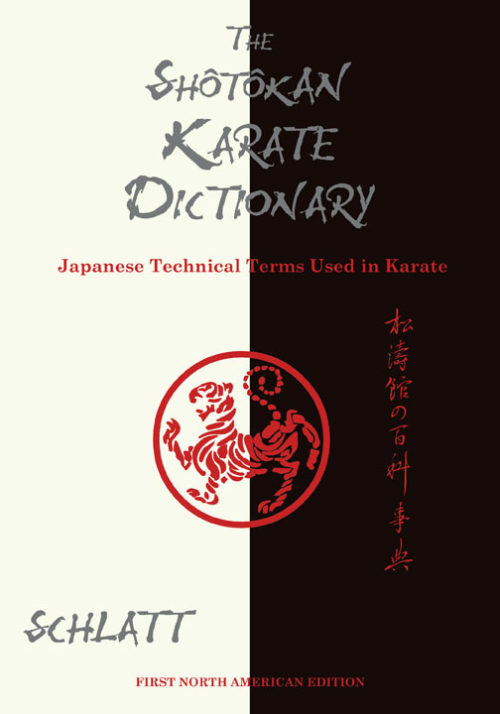 Clear, easy-to-understand, and accurate English translations of Japanese karate terms, plus color photographs of essential karate stances, movements, and techniques, will give karate students a firm foundation in karate terminology. A Japanese pronunciation guide and exquisite calligraphy of the Japanese characters (kanji) of each term will deepen students’ understanding of karate’s cultural roots. This comprehensive reference book covers the Japanese numerical system, different target levels and directions of movement, the basic elements of karate training, basic and advanced katas, as well as the Japanese terms for typical instructions and commands you will hear throughout your karate training. The Shôtôkan Karate Dictionary also explores the philosophical background of karate through an explanation of selected terms, the origin of the name karate-dô, the Twenty Precepts of Funakoshi, the rules that govern the dôjô, karate philosophies, and annotations by famous Zen masters. Audience: Karate students and practitioners, karate schools and organizations, and readers interested in Japanese language, culture and philosophy. About the Author: Schlatt was born in Lauda, Germany, in 1964 and started the practice of karate-dô in 1979. He has studied karate in over 20 countries and has taught in several dôjôs around the world. He earned his masters degree in Japanese and Chinese cultural and language studies from the University of Tübingen in 1994. He has served as a translator for numerous Japanese guest instructors at European karate events. Currently available for pre-order. Will ship upon publication.